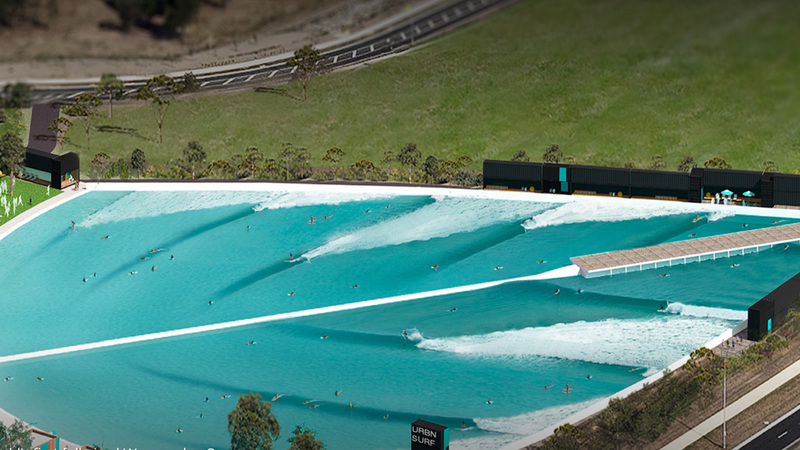 CEO Andrew Ross walks us through just how, exactly, the new Melbourne wave pool will provide surf for several ability levels. The 22,000 square meter surfing lagoon is, after all, five times larger than the only other Wavegarden Cove on the planet. Roary the wave making machine was named after another famous wave maker, the Roaring Forties. Up until now, we’ve only received photos of dirt, concrete foundations, a wave machine named Roary and some bluish-toned photos. Good news today as Urbnsurf launched a clip of Andrew Ross explaining how their tech will produce surf for all ability levels. We interviewed Andrew last month about the project and it’s many challenges, particularly about inventing a surf park from scratch. For more on the intricacies of opening Australia’s first public wave pool, check out the full interview with Andrew Ross here.